While the occasional indulgence in an adult beverage with colleagues and friends is not outside of social norms, excessive drinking can have serious and long-lasting consequences in a variety of ways. The inclusion of alcohol in social and professional settings has made moderate drinking a difficult and even at times an impossible task; however, we’ve compiled a few realistic tips to help you moderate your drinking or quit the habit entirely. Have you ever woken up after an evening of drinking thinking, “I did the most regrettable thing last night?” This is related to your brain cells’ relationship with dendrites. Dendrites are the branch-like ends of neurons which are responsible for communicating and passing along messages to other neurons. Alcohol degrades the elasticity of these branches and overtime can cause and inhibit their ability to communicate to one another resulting in impaired rational decision-making. Alcohol weakens your body’s immune system in terms of making it more susceptible to infections and disease, and can worsen existing infections. Binge drinkers have been shown to experience a higher risk for pneumonia, tuberculosis, and acute respiratory distress compared to non-drinkers in the general population. The liver is responsible for filtering out harmful toxins from the body, including alcohol. Ethanol, a principal component in alcohol, breaks down and interferes with liver functions and can cause serious complications such as: fatty liver disease, alcoholic hepatitis, and alcoholic cirrhosis. Keeping these negative impacts in mind, let us move on to how you can reduce or stop your drinking with a few simple lifestyle changes. 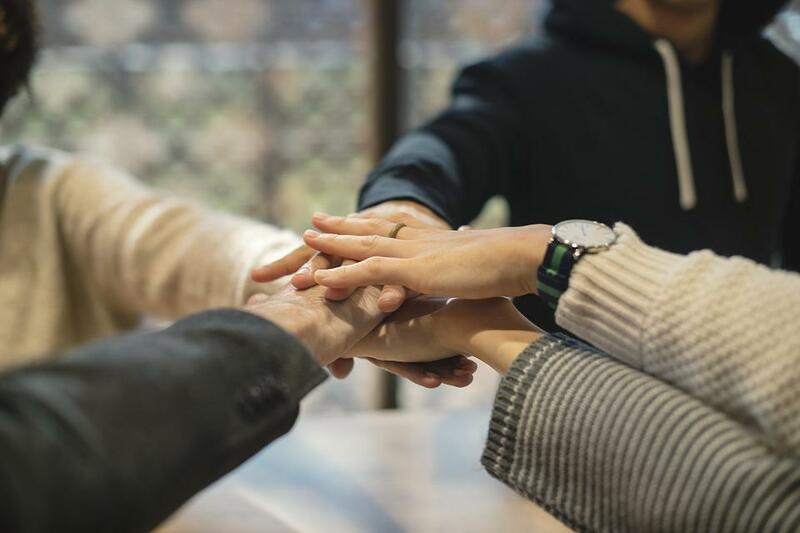 A support group – or group therapy - creates a safe space for people with similar challenges to connect in a confidential setting. As a member, you are provided with the opportunity to share your experiences and seek assistance as well as assist others in their respective journeys. Support groups can also help you overcome hurdles, increase your social network, and offer feedback and treatment options. It is understandably difficult to avoid having a drink while at a party or a related social gathering surrounded by alcohol. However, you can use the highly effective trick of having something alcohol-free in your glass to sip on which serves two purposes 1.) You can still socialize without feeling isolated or out of place 2.) Gives you an excuse to politely decline drink refills. Having control over what you drink early on will also allow you to make deliberate decisions should you choose to have an alcoholic beverage later on during the course of the outing. If you find yourself drinking just to pass the time, it may be helpful to replace alcohol with stimulating activities instead. Read a new book, take a hike, or try a new recipe – anything that involves activity will generally decrease your reliance on alcohol. Furthermore, exercise releases a feel-good chemical called “dopamine,” which is the same chemical that gets released when you drink! Consuming a sufficient amount of nutrients has been proven to curb alcohol cravings. Low fat proteins such as lean beef and plain yogurt have been shown to increase energy and improve mood. While going through detox, the body will crave simple sugars, which can be found in common fruits such as bananas, oranges, and strawberries. Additionally, fruits and vegetables are great for nourishing the body - win-win! Triggers can be moods, situations, or even time of day that may propel you to drink. Whatever it is, identify and understand your triggers first so that you can plan to redirect the urge with a different activity, or if possible, avoid the trigger altogether. For example, if your trigger is the after work happy hour, you can intentionally sign up for a work-out class in that time slot to give yourself an excuse to skip the drinks! The minor inconvenience of having to drive to the liquor store can make the difference between drinking and remaining sober. Create a bit of barrier between yourself and alcohol by keeping your living space alcohol-free. Once you have established that you are dedicated about making a change in your drinking, write down what your goal is and how you plan on getting there. Whether your objective is to cut down on or to stop drinking completely, make it clear to yourself and those around you. If necessary, let them know how they can help you stay on track. Quitting cold turkey isn’t an effective or feasible strategy for everybody. Alternatively, you can decrease your weekly alcohol intake gradually and construct a weekly achievement “program” as a way to build momentum to make steady progress. Remember that no accomplishment is too insignificant, and that your willingness and commitment to living a healthier life is worthwhile for you and those around you as well. While we have listed a few practical ways to curtail your alcohol habits, we understand that these steps may not be effective for everyone. If you are struggling with alcohol, we are here to help. Scripps Research La Jolla for Alcoholism and Addiction Research is a dedicated team of medical professionals committed to fighting alcoholism and addiction. Contact us at (858) 784-7867 or fill out the form below and let us assist you on your journey to recovery.